Barely disturbed by prayer flags waving in gentle breezes, The Chi Center welcomes visitors to the tranquility and beauty of this southwest oasis resort. 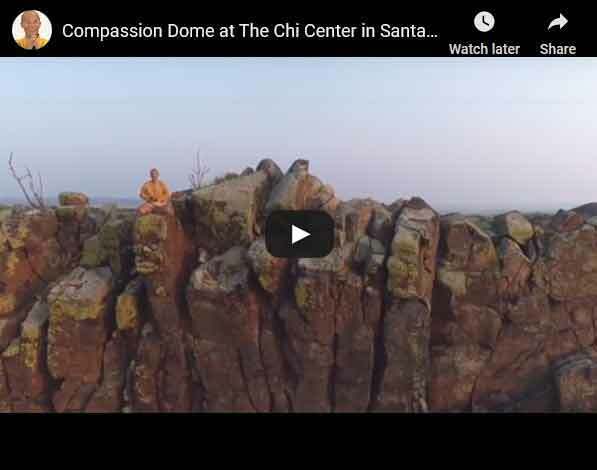 A Place of Ceremony, the 79-acre Wisdom Healing Chi Gong Retreat Center is just 20-minutes south of Santa Fe, in Galisteo, New Mexico. Master Mingtong Gu, a world-renowned healer and teacher, summons guests to experience the power of Wisdom Healing Chi Gong, that has transformed the lives of over 100 million people worldwide! Those challenged by the stresses of our chaotic modern lifestyles learn to directly access the inner medicine of mind, body, and heart and heal themselves of myriad maladies. 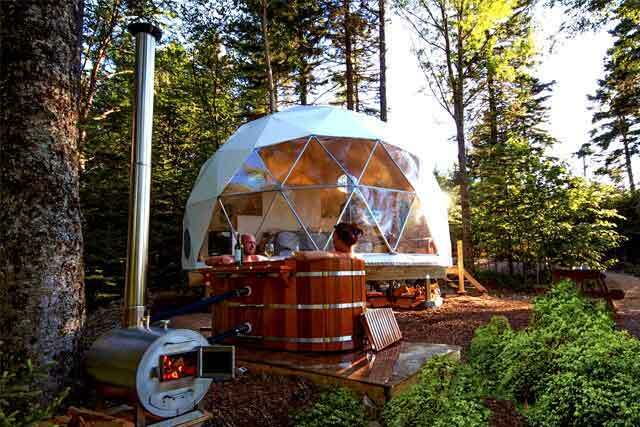 The colossal Compassion Dome will be dedicated to and host world indigenous grandmothers, worldwide ancient and contemporary wisdom keepers; as well as, musicians and artists, visionary leaders, young generations and elders. 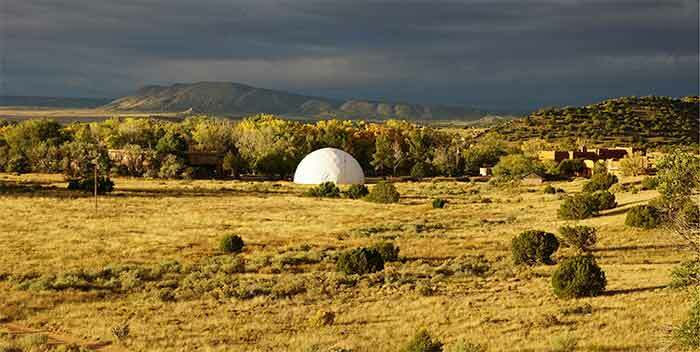 79-acre Wisdom Healing Chi Gong Retreat Center is just 20-minutes south of Santa Fe, in Galisteo, New Mexico. A place that energetically supports the expansion and integration of all wisdom traditions and wellness modalities… bridging the practical and spiritual – personal and social – inner and outer. A dedicated place for people to learn and practice… self-care – self-healing – self-empowering systems of Wisdom traditions. 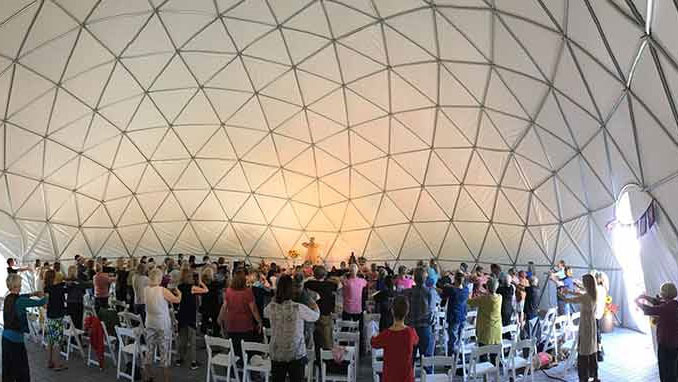 A place for leaders and teachers of all wisdom traditions, health and wellness organizations, and other professional communities to… nourish and recharge their own bodies, hearts, and minds. A physical portal for connecting people globally, through state-of-the-art communication technologies and wisdom practice… dedicated to healing of ourselves and healing of our world. 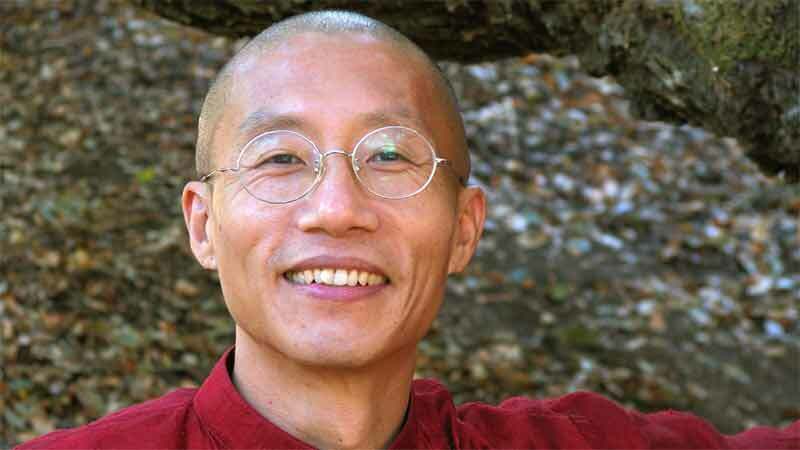 Participants receive direct energy transmissions from Master Mingtong Gu that transform powerful Wisdom teachings into embodied wisdom on a cellular level. Workshops are currently held in the beautiful circular building which replicates traditional ceremonial kivas, set into the earth. The ‘Healing Intensive Retreat’ with Master Mingtong Gu is the most focused training retreat for people facing health challenges of body, mind and emotions. 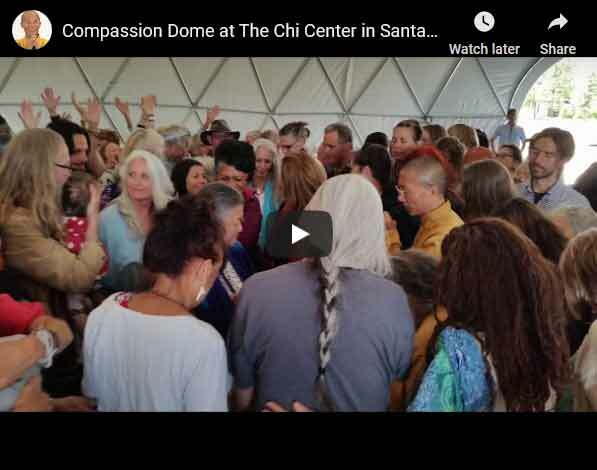 Immersed in a nature sanctuary, visitors to the Chi Center are guided by dedicated and compassionate teachers, adept in the practice of releasing blockages that open to deeper levels of physical, emotional and energetic healing. The main house features six fireplaces and the grounds include two labyrinths, outdoor fireplaces, fountains, a pond with a waterfall and paths for reflection and hiking. This is a place where heaven and earth truly meet within and around you.